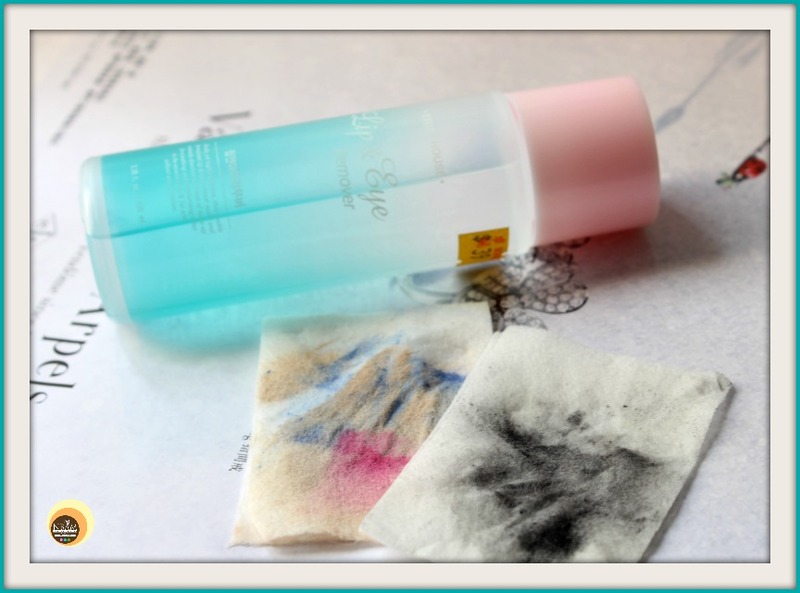 Today I am going to review my current makeup remover, uh lip & eye makeup remover to be precise! 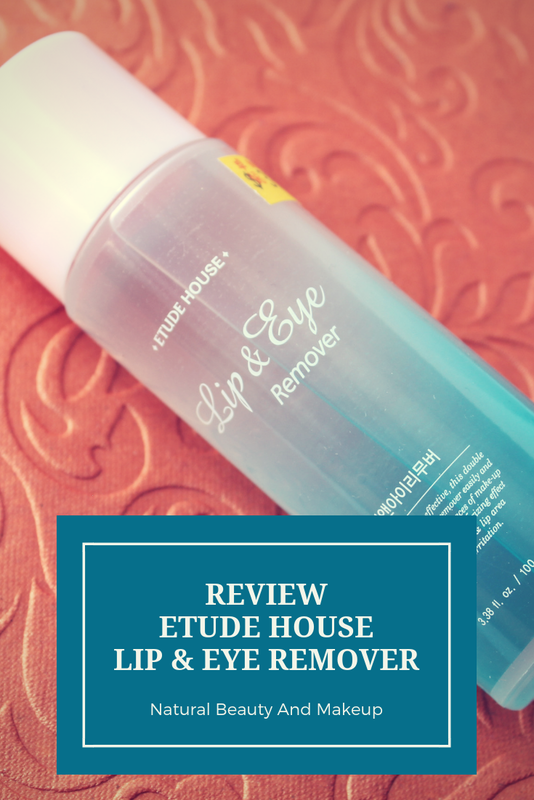 I have been using Etude House Lip & Eye Remover for a couple of months hence I feel it’s the perfect time to share my thoughts with all of you. Gentle, yet highly effective, this double formulated lip & eye remover easily and instantly dissolves all traces of makeup for a soothing & moisturizing effect on the sensitive eye & lip area without any irritation. Availability: Online and at Etude House outlets. Shake well before each use. Apply to the eye & lip area using soft cotton or tissue. For detailed ingredient analysis, please check this incidecoder report 😊. Earlier, my go-to makeup remover for eyes and lips were either any variant (solution/wipes) of micellar water or our oldie-goodie Vaseline. I still use them but this particular product has won my heart! 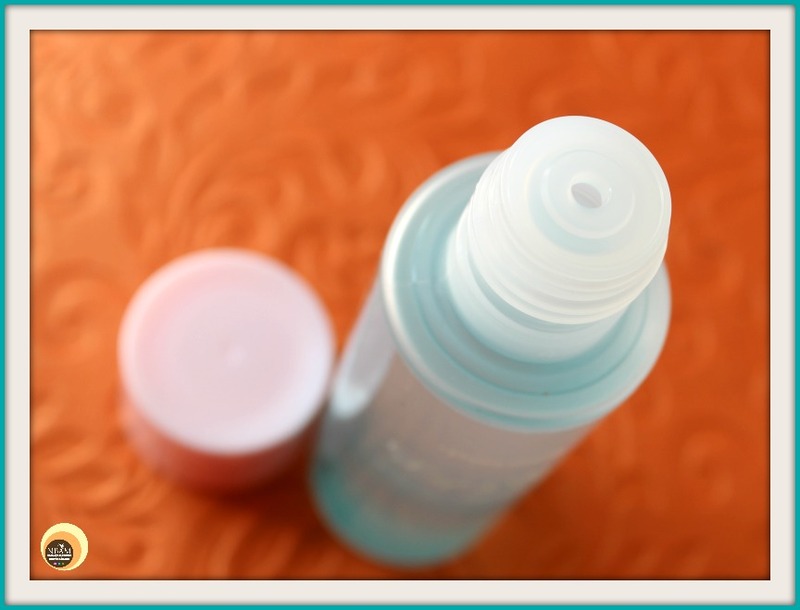 Etude House Lip & Eye Remover comes in a medium-sized, transparent plastic bottle fitted with a screw cap. The container has an additional lining with an opening to squeeze out the product. 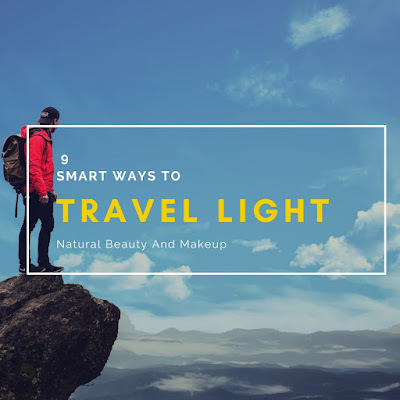 The product related information is mentioned on the packaging itself and is travel-friendly. This lip & eye remover is a biphasic makeup remover, means it’s a mix of water-based cleanser and oil-based liquid!! Hence you need to shake the bottle before each use. The fragrance is artificial but not overpowering. When I purchased this Korean makeup remover, I assumed it to be an average performer but after using this remover, I have become a fan of it! Trust me; it glides away all the hard-to-remove eye & lip makeup in a jiffy. You people know me, I don’t do heavy eye-makeup; however, being a dark-lip shade lover, I always faced difficulties while removing those bold lip colours. Especially, during lipstick swatch photo-sessions or those moments, when I accidentally wore wrong lipstick in deep shade. Now, I’ve got my saviour! Since Etude House lip & eye remover is a biphasic emulsion, it helps get rid of the water-proof, smudge-proof eyeliners or lipsticks gently without any fuss! In a cotton pad, I squirt the product 2-3 times and then press the pad against my lips/eyes for a few seconds followed by face wash. Yes, I always rinse my face with a gentle cleanser after using any makeup remover! It doesn’t remove the eye-makeup completely at one go! So at times with the help of a cotton ear-bud (dipped in remover), I remove the left-over residues from the eyes. In the case of lipsticks, it takes off the lip tints with just one swipe! It tastes bitter, so be cautious while removing lipsticks 😜. Etude House Lip & Eye Remover is an excellent makeup remover for your daily use. It is gentle yet efficient enough to remove waterproof makeup and also doesn’t irritate the skin! I am in love with this product and would highly recommend it. 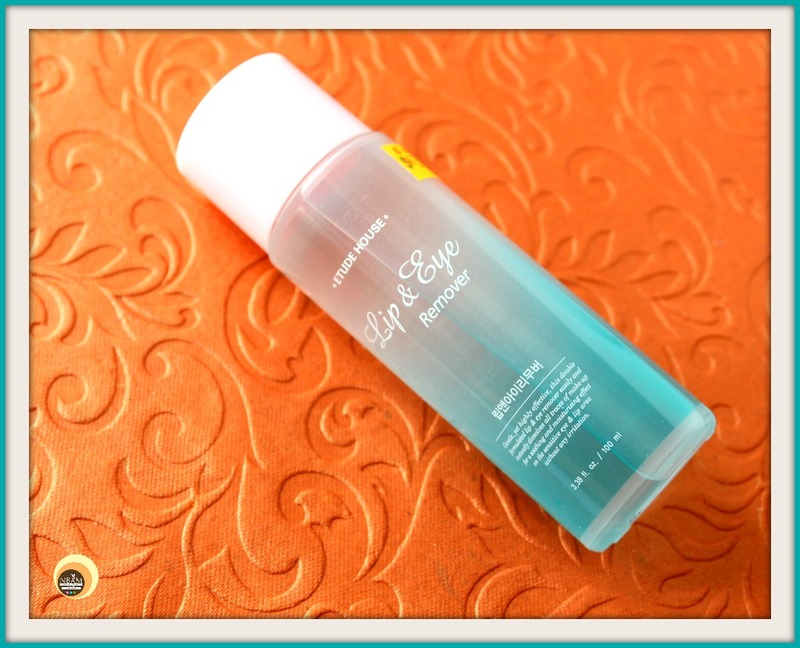 Have You Ever Tried Etude House Lip & Eye Remover? If Yes, then Please Share Your Experience With Us In The Comment Section Below. I have to try this! I always have the most trouble getting off my lipstick and eye shadow. This sounds great! I love this review it's so well detailed,am also a lover of bold lipsticks and when it's time to get it remove I always have a problem. So am trying this out. Thank you so much ☺💕 I so love this product to remove my lipsticks! I'll have to try this! I always have the worst time trying to get off my eyeliner and mascara. i don't wear much makeup but i do wear mascara. this would be great to remove that. Wow, this looks like it works so well! I always have a hard time getting my eye makeup off. I've never heard of this brand - will look out for it next time I'm looking for some makeup remover. I use Etude House make up remover before and it is indeed a very good product as it also remove the waterproof eyeliners. Really an honest review you have here. It's nice to have something to take off mascara without having to rub your eyes too much. I have such a hard time getting mine off without feeling like I'm pulling my eyelids. I can feel you! I dont do heavy eye makeup, so this is just perfect to remove eyeliners, kohl and mascaras ☺ Do try this once! Thanks for sharing! I don't wear so much makeup these days but I have always being very sensitive to skin products, I am glad to hear that it worked for you, I might pick one up next time I go to the shops! I've just discovered your blog and I have to say, it might be one of the best ones for makeup products reviews! This sounds like a great makeup remover. I've tried a few Etude House products in the past and always been impressed. Thanks so much for sharing! I will be sharing this with my daughter, shes always looking for beauty products. I normally don't revert to Etude House for their skincare as much as I do for their cosmetics. Great post! I have been using the Bioderma Sensibio H2O for the longest, but this would also be worth trying! I have never used a remover for my looks this product looks interesting. I think I'll look into it. This looks like a great product! I have a makeup remover I normally use, but I would be willing to try this. I’ve not tried Etude House products yet – so your review was extremely helpful. I like the fact that they are inexpensive! Ooooo now here is a product I haven’t tried out yet! Definitely need to get my hands on a bottle! Oh wow! I love to try this makeup remover. I am looking for the best and this is perfect to me! Thanks for the great review. I just loved your nice review of this makeup remover. Looks a good recommendation. This looks sooo awesome! I can’t wait to give it a try! I am always looking for new products like this! I am always searching for a good eye makeup remover. Thank you for the review. I will have to show this to my daughter. She is always looking for a good makeup remover. She mostly has wipes but this seems like it would be more effective. I love a good product that can do it all. This hits the target. The brand is new to me. This sounds like such a great product. I actually need to get something like this! 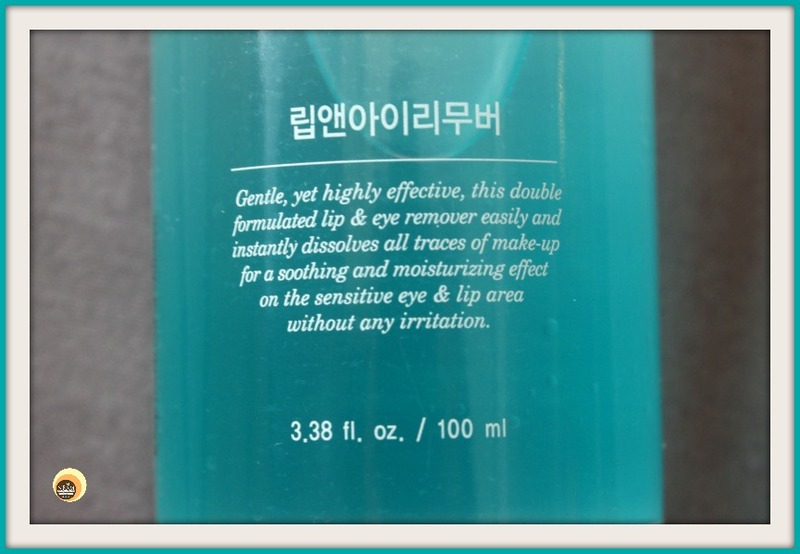 Etude House lip & eye remover sounds really awesome especially if it can help me remove excess lipstick stains. I gotta try this one! wow...i want it asap...i hope it does not sting eyes..